Voices: Ryan Potter, James Cromwell, Damon Wayans Jr. The Marvel Studios movie train has been non-stop over the last few years, from Iron Man to The Avengers, it shows no signs of slowing. Now though, a take-over by Disney has ensured both studios enter into rather unknown territory. The first film from this collaboration is Big Hero 6, an animated superhero film in the same vein as Pixar’s The Incredibles. But does it reach those dizzying heights? 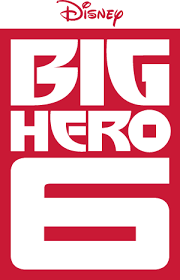 Big Hero 6 follows Hiro Hamada, a 14-year-old robotics prodigy as he goes about his life in the fictional city of San Fransokyo alongside his brother Tadashi. Hiro has lost his way after a family tragedy and it takes his brother’s robot Baymax to help find himself again. The story unfortunately is the film’s weakest link, being predictable at best and downright clichéd at its worst. In this respect, Big Hero 6 falls well short of the standards set by the majority of Pixar’s movies. Thankfully, the visuals are absolutely stunning, a match for Disney’s best, if not quite up to the level of last year’s How to Train Your Dragon 2. The city of San Fransokyo is beautifully realised in sweeping, gloriously colourful shots that show of the animation best when they’re from above. The characters themselves are rendered in painstaking detail and in particular sequences it becomes difficult to tell the film apart from a live-action feature. Vocal performances are also very good. Ryan Potter plays Hiro as a vulnerable, pre-pubescent teen who by the end of the film comes to realise just who he is exceptionally well. James Cromwell, Maya Rudolph and Damon Wayans also lend their recognisable voices to people in the film. 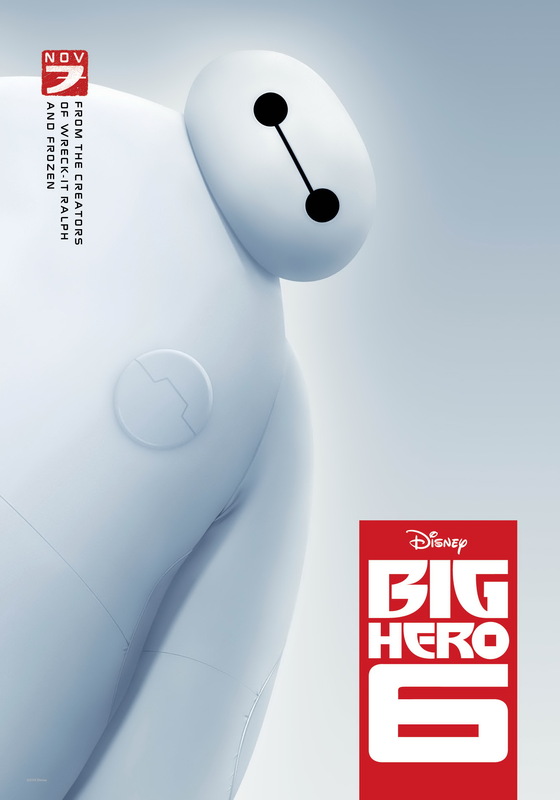 However, by far the stand-out is Baymax, a hilariously funny healthcare robot. Disney’s animators should be given plaudits for crafting a character which despite its lack of facial features and emotive tones is so engaging to watch. Unfortunately, when Baymax evolves into super-Baymax, his characterisation suffers and the funny, caring nature of him is lost somewhat. The final third of the film delves into generic superhero fodder, but picks up again just before the end credits role with a deeply emotive. Big Hero 6 also gets increasingly dark the further into the movie you get, the comedic elements get muddled in a plot which isn’t quite sure which way it wants to go and young children may find it a little to scary to stomach. Thankfully the negatives here are far outweighed by the positives and Big Hero 6 steamrolls itself into a moving finale which leaves itself open for a sequel nicely. Overall, from stunning visuals to engaging characters, Big Hero 6 continues Disney’s penchant for creating fun and watchable films. Despite a lack of originality, the character of Baymax makes up for most of the other shortcomings and ensures the generic story is genuinely moving. Overall: Beautiful yet predictable, but well worth a watch.